Situated just North of Madison Square Park, The Evelyn Hotel in Manhattan's NoMad neighborhood places guests at the center of New York City. Outside our doors, is a mix of work and play as our proximity to Chelsea, Midtown Manhattan, and the Flatiron District puts fashion, dining, entertainment, and the business and tech hub of Silicon Alley within walking distance. Head a few blocks north to find Broadway, Times Square, and endless entertainment in the Theater District. At the corner, find Fifth Avenue and its legendary shopping. Walk south to explore the eclectic Greenwich Village, with its jazz clubs and concert halls. 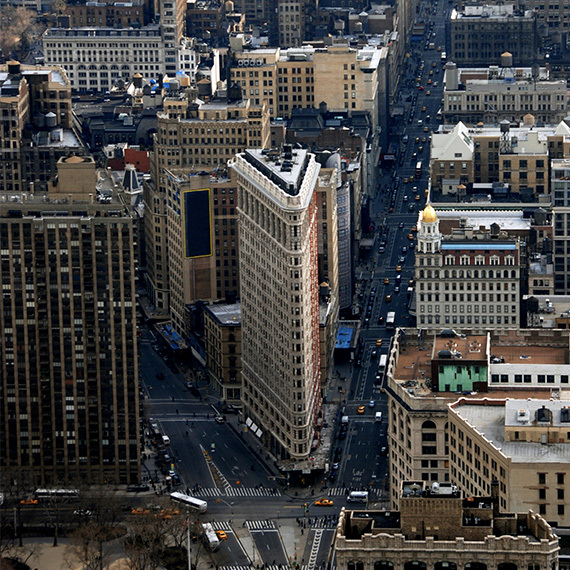 Explore the area surrounding The Evelyn Hotel to find the Flatiron Building, Empire State Building, and Madison Square Garden. Effortlessly arrive at The Evelyn from destinations far and wide. Our hotel is easily accessible from New York City's and northern New Jersey's airports by taxi or mass transit. Arrange a pickup or drop-off to and from the hotel to area airports by contacting our concierge.